For a long time, the answer to the question "What is the most powerful effect in Magic regardless of cost?" was generally accepted to be Mindslaver. Then Rise of the Eldrazi was printed, bringing with it a slate of over the top gigantic, excessively powerful creatures. 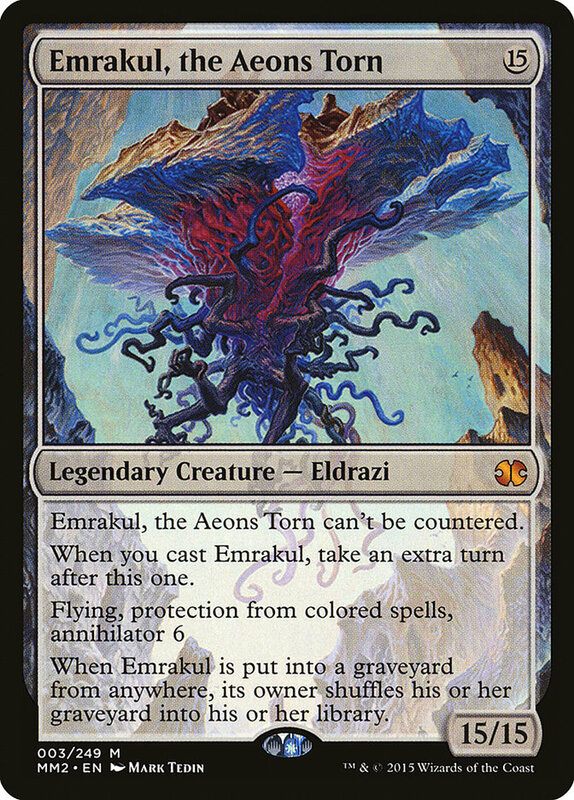 Kozilek, Butcher of Truth and Ulamog, the Ceaseless Hunger were already more than anything we'd ever seen, but Emrakul, the Aeons Torn was the cream of the crop. Casting the card ends the game the vast majority of the time. Even if your opponent survives the fifteen-point attack, losing six permanents effectively resets the game state, but with them at such a low life total it's fairly easy to end the game before they recover. 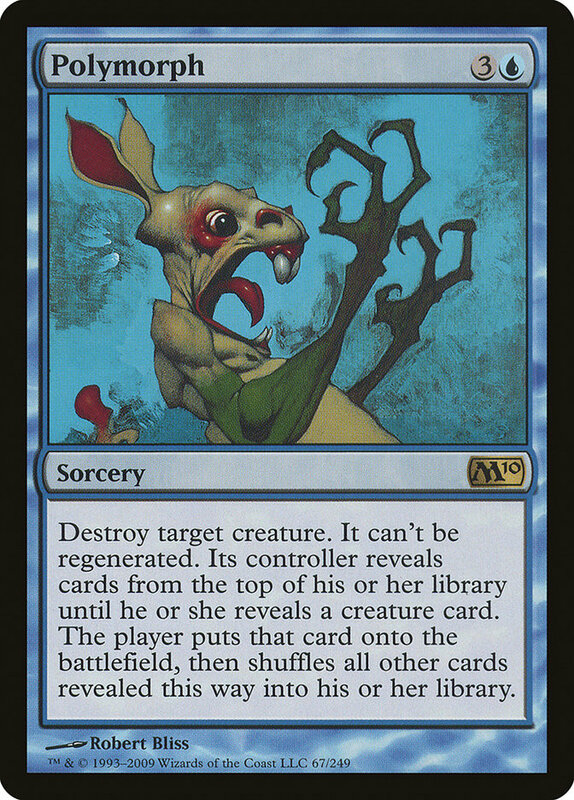 The card is powerful enough that just putting it onto the battlefield is good enough in Modern. Today's deck is trying to do just that, via either Polymorph or Proteus Staff. There are plenty of ways to make creatures in the deck between the various planeswalkers, Call of the Herd, creature-lands, and Khalni Garden, but the only actual creatures in the deck are two copies of the flying spaghetti monster. So when you target one of your creature tokens you're guaranteed to get your 15/15--just how those cards were intended to work. The great part of the combo is that the pieces that generate creature tokens form a cohesive backup plan by themselves. You can grind out disruption-heavy decks with planeswalkers and simply attack with a pile of creature tokens. The ramp spells at the low end ensure that a Polymorph can realistically race the other combo decks in the format and also help the aggro plan get a jump start. Of course, having an engine-based combo leaves little room for disruption, so you have to make those slots count. Ideally those cards would answer any problematic permanents for Emrakul, the Aeons Torn, like Ensnaring Bridge while also functioning well in the fair games. Cyclonic Rift certainly fits that bill and also plays as a mana sink when you flood. p> It's been about a decade since Emrakul, the Aeons Torn was first printed, and we're still finding new ways to cheat it onto the battlefield. 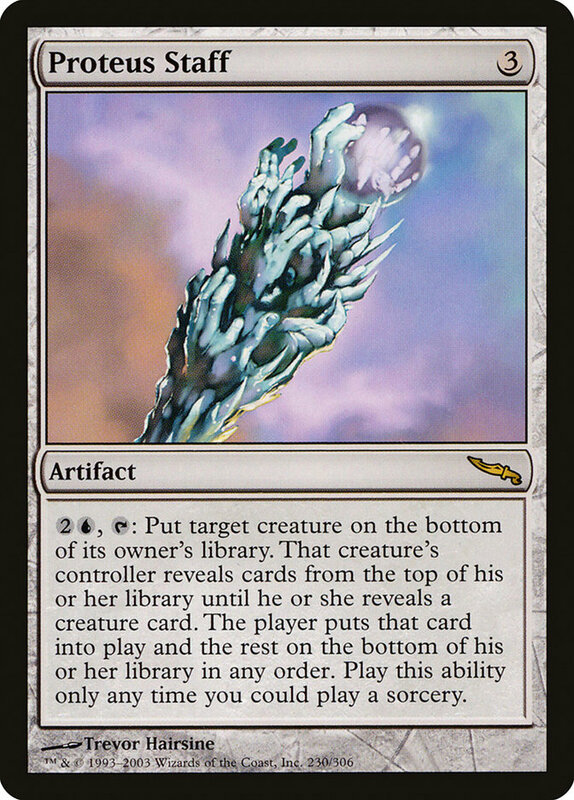 A card like Door to Nothingness may have technically taken the mantle of "most powerful effect in Magic," but being attached to a creature means Emrakul is still the gold standard since it's so much easier to exploit.